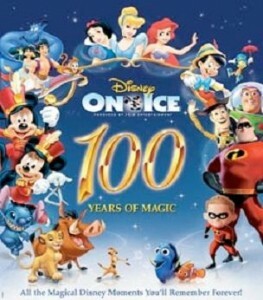 Disney on Ice celebrates 100 Years of Magic playing Reliant Stadium with your family! **Get 4 tickets for $44 Monday-Friday matinee, or $4 off weekend tickets by entering the code “MOM” in the promotion code box on ticketmaster. Minimum purchase of 4 tickets required; additional tickets above 4 can be purchased at $11 each. Offer not valid on Rinkside or VIP or VIP Dining seating. Cannot be combined with other offers. Service charges and handling fees will apply. “Awesome” “Awesome” that what my princess said at the show! She was so excited and loved it all. Little Bug did too. I wasn’t sure if the sounds or crowds would upset him but it didn’t. Not one bit! It sat there in complete and utter awe of it all. 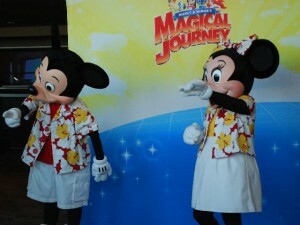 I wanted to share with you just a couple of shots from our night of family fun at the Disney on Ice show – Mickey & Minnie’s Magical Journey. 4 tickets for $44 Discount! 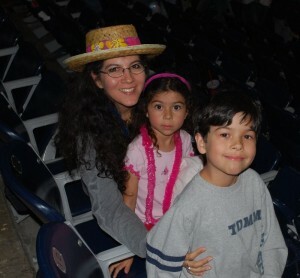 Log onto www.ticketmaster.com Enter the coupon code: MOM in the MC Promotion box. 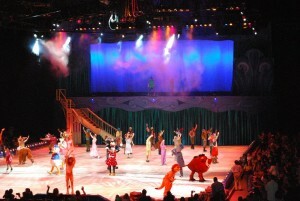 Disney on Ice will be in Houston, TX at Reliant Stadium from April 15th – April 19th (that’s Sunday) so make a point to get out and catch the show with your loved ones. *Offer good on all performances, minimum purchase of 4 tickets required; additional tickets above 4 can be purchased at $11 each. Not valid on Front Row, Rinkside, or VIP seats or combinable with other offers.